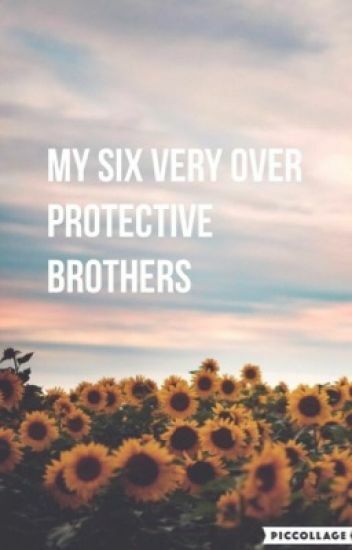 The book is going to be about Emily trying to find love but all her brothers are way to over protective...........So you will just have to read to find out what happens next. Kira has a whole summer to face with her overprotective brothers.Will she be able to survive the crazy summer that includes cute boys,brothers,and lots of drama!!! My name is Maddison Montgomery, but everyone calls me Maddie. I'm 15 years old and I live with my 12 older brothers and dad. I know it sounds crazy but it's true. If you want to know my whole story and how I live with 13 guys then read this story about me and my family. Shawn is a 16 year old girl who has 13 overprotective brothers. She is the only girl in the family other then her mom. Her brothers won't let her date guys. But what happens when she falls for one of their friends. Will they find out? Is there a pregnancy? You will have to read to the end to find out. Life with 9 brothers is not the easiest thing in the world. When they are all older than you than life is torture and relief. My family and I have just moved from Tennessee to California. This is a story of Alexandrea and her 9 older brothers. they live in a house with 15 brothers and without a mother. She has a boyfriend but her brothers are very protective. What happens when Blake comes to her life?? Will they fall in love? ?Will Lucy and Ian breake it off?? Will her brothers let Blake near her?? or will they sneak??? Savannah Carter is 15 years old. She is the only girl in her family. Find out what happens when Savannah is a sophomore in high school. Will her brother let her have some space. Or will they never let her pro what she wants to do. Maddie is going into 3rd year of high school, and she still hasn't had her first kiss, her first party, and definitely hasn't had her first boyfriend. I mean, how could she with having her 5 older brothers watching her every move? So what happens when she finally befriends a boy? Step in the life of Linna Medon, who has seven brothers. She find them annoying, stupid, over-protective and much more. (Sorry for this crappy summary. I am a dutch girl and my english is not very good. But I am trying to do my best! 13 year old Jordyn has 5 older brothers. They all get into food fights, adopt dogs without telling their parents, have prank wars and so much more! Responsible adults and teens? I think not. All the credit for the cover goes to aamayzing_05 she's seriously so awesome!